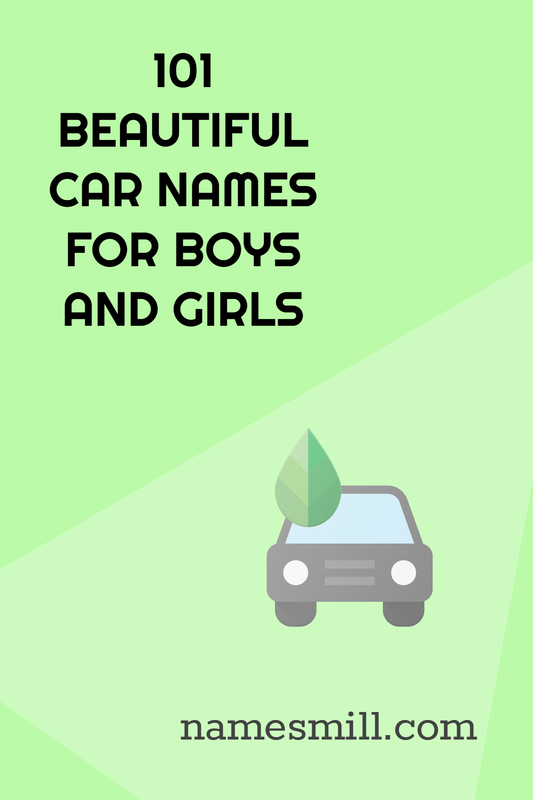 Once you have gotten over the voices in your head and you finally accept that there is no absolutely no reason why you shouldn’t name your boy, girl, or pet, a car-inspired name, you will need a list of good car names for boys and girls. 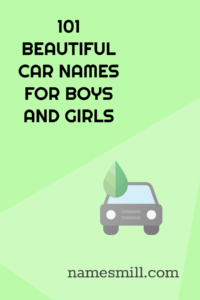 So, if you want to give your boy, girl, or pet, a car-inspired baby name, the following are awesome car names suitable for both male and females. Aston – Proper name for your boys like the Aston Martin car creator. Baron – The full name of the 1930’s classic luxury car was Chrysler Imperial LeBaron. Bentley – A classic name for both your car and son. Chevy – A derivative of the Chevrolet brand or from the name Chevalier. Chrysler – A popular luxury brand, use “Chrys” as a nickname. Colt – The dodge colt and also the name of a gun, great for a tough cookie. Cooper – You may want to ignore the mini in front of the cooper to avoid offending your son. Dayton – The Dayton Electric cars from 1911 – 1915. Dino – Perfect name for a Latino baby boy. Also borne by Ferrari Dino. Enzo – This is the name of the creator of the Ferrari car. Herbie – Perfect for your love bug, moreover it was love that created your bug. A Volkswagen bug. Jazz – Honda Jazz as well as a jazz lover. Jenson – Like the formula one star, Jenson Button. If you prefer the name Button, go ahead and name your boy. Lewis – Another famous name for a formula one winner. Lexus – You may have heard the name Lex, but probably not from the name Lexus. Wouldn’t it be cool if your boy bears the name of your favorite Toyota car? 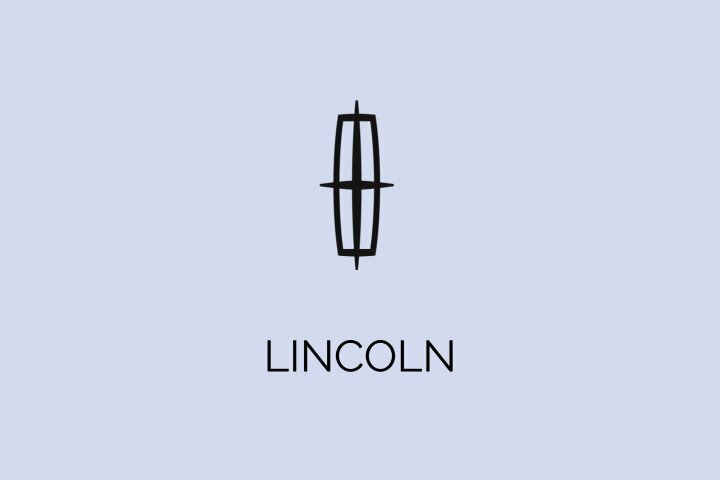 Lincoln – Imagine how happy your boy would love having you call him “Linc.” Either related to the Late American President or the Lincoln Navigator, it’s a good comparison. Ranger – Give to a boisterous, fun-loving kid who you hope will love the outdoors. Renault – A France creation that is loved by all. Rory – A famous cartoon race car. Rover – English named SUV sports car. Royce – Not bad for a lanky boy who is likely to be tall. Sebastian – After the formula driver Sebastian Vettel. Veyron – A creation of the Volkswagen known as the Bugatti Veyron. These car names can also be used for male dogs or any other male pet. Make no mistake, these are excellent baby names. How can you hate a beautiful female car name like Ariel? How? The following names are car-inspired female names you can choose to name your daughter, or pet. Acadia – One of the products of the GMC brand. Agera – A car model that is known as Koenigsegg Agera R.
Alfa – A Greek name that the word “Alpha” comes from, which means beginning. However, it is the French-owned Alfa Romeo automobile. Aria – The Tata Aria is a diesel SUV made in India. Ariel – The unforgettable cartoon character in Little Mermaid. In this case, it is from the Ariel Atom. Aryton – Three-time Formula One World Champion Ayrton Senna. Aspen – Popular Chrysler brand that became recognized in 1993. Aurelia – A Grand Tourer by Lancia. A fine name for a golden-haired beauty. Azera – A beautiful suffix from the Hyundai Azera. Beretta – A brand produced by Chevrolet for eight years. Brera – Another Alfa Romeo model. Cadillac – You can call her “Caddy” or “illac” as a nickname. Camry – The feminine version of Cameron and the name of actress Camryn Manheim. Most importantly, the name of the strong Toyota brand. Caprice – A car model type for a Chevrolet and a Holden. It has a French interpretation that translates to tantrum. Catalina – The Spanish Pontiac Catalina that existed from 1950 to 1981. Catherina – A beautiful Latina name that refers to the two-seater, Saab Catherina. Cavalier – Another Chevrolet model. Cheyenne – A female name that is also the name of a Chevrolet model. Clio – The Renault’s infamous model. People will consider the name to be spelled “Cleo,” but we know better. Dakota – Pickup truck from Chrysler called Dodge Dakota. Elantra – Literally from the Hyundai brand. Eleanor – Apart from being the name of a former American First Lady, the name belongs to a Ford Mustang used in film production. Elva – Sweet sounding name just like the car that bears the name. Felicia – The adorable Skoda Felicia. Guilia – A car model from the Alfa Romeo Automobiles. Infinity – It means Endless, but it also belongs to the Japanese Infinity Luxury vehicles. Jetta or Jeta – If she has stunning jet black hair, then the name of the Volkswagen model will do. Moreover, a Dutch American actress bore the name as well, Jetta Goudal. Kia – Originally South Korean but with an African meaning, how exotic! Laura – The bay Laure of the Skoda brand birthed this name. Although it is a common English name. Linea – If you love the Fiat brand, then the Fiat Linea is a great inspiration. Lotus – The name of a flower and the second half of the “Lotus Elise.” If you are crazy about the sports car, you can name your girl the full name. 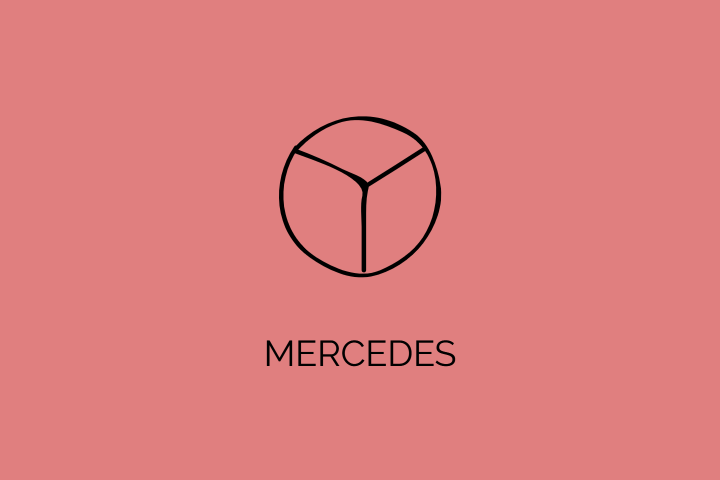 Mercedes – Originally and still the Spanish title for the Blessed Virgin Mary. A girl’s name whose father created the Mercedes Benz and named it after her. Morgan – After the British classic. Miura – It has a Japanese origin, and the model of the Lamborghini released in 1966. Porsche – The real familiar name is Portia, dare to be different and use this sleek car name instead. Shelby – Another name for the muscular Ford Mustang known as the Shelby Cobra. Silvia – Nissan Silvia. The name is also common for ladies. Stella – This is the name of a solar-powered car. Tesla – A short version of the name Thessaly but also named after the modern electric cars. Victoria – Ford product called the Crown Victoria. Zephyr – Unusual and exotic just like the 1936 vintage model. Zeta – A car name but also the middle name of famous actress Catherine Zeta-Jones. Zoe – The name means “the life of God “in Hebrew. In the car world, it is from the Renault line. As earlier mentioned these car names for girls could be used as a nickname or name for female cats, female dogs or any other pet. So what other unique car baby names for auto enthusiasts are available? The following names are even more unique car baby names because they aren’t exactly the names of cars, but they are all inspired by the auto industry. 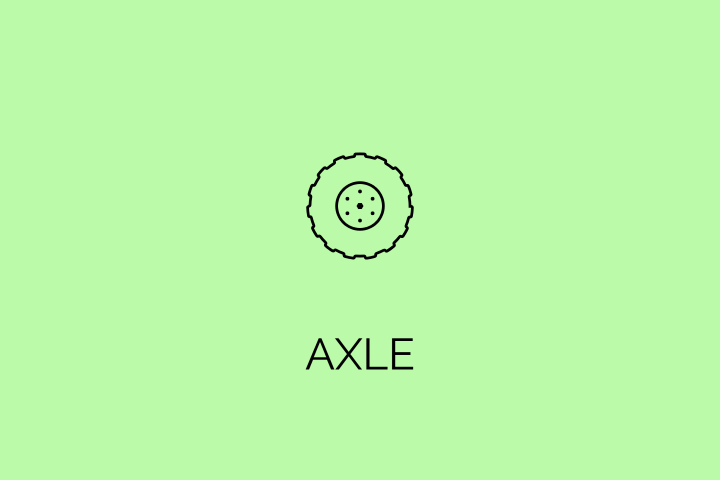 Axle – Every car has an axle, but only you have your axle. Cruz – In honor of the cruise control part of the car. Diesel – A badass name that represents toughness like the actor Vin Diesel. Gauge – Given by a father who loves his car parts. Hemi – A kind of engine type. Jack – In a car jack and it is the most common English name. Vin – A name derived from the acronym of the Vehicle Identification Number. In conclusion, some of these names can be given to either a boy or a girl. Feel free to use it as you will. Car inspired names are not limited to these categories only. You can name your kids after your favorite Nascar driver, Formula One driver, automobile related TV show or an automobile company that you love. Please write in and let us know the excellent car names we missed in this article. We look forward to your contributions, questions, feedback, and suggestions.